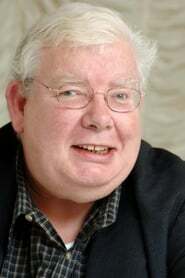 Richard Griffiths is an English actor of stage, film and television. He has received the Laurence Olivier Award for Best Actor, the Drama Desk Award for Outstanding Actor in a Play, the Outer Critics Circle Award for Best Featured Actor in a Play, and the Tony Award for Best Performance by a Leading Actor in a Play, all for his role in the play The History Boys. He is also known for his portrayal of Vernon Dursley in the Harry Potter films, Uncle Monty in Withnail and I and Henry Crabbe in Pie in the Sky. as "Dr. Meinheimer / Earl Hacker"
as "Montague Withnail (Uncle Monty)"
as "Delmas' Assistant No. 1"